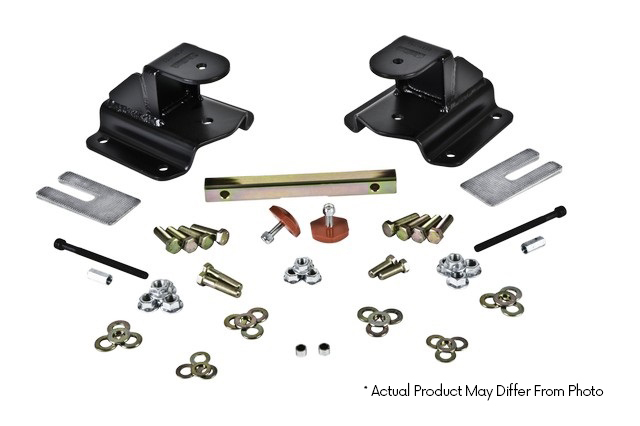 By engineering bracketry or replacement components (Belltech Shackles and Hangers) to reposition the front and/or rear leaf spring mounting points (spring eyes) you can simply and effectively lower your leaf spring equipped Sport Truck or SUV without changing the factory leaf spring. This allows you to retain OEM ride quality and possibly more importantly factory load capacity. At Belltech, we offer both Belltech Shackles and Hangers as individual components as well as complete kits depending on your lowering requirements. 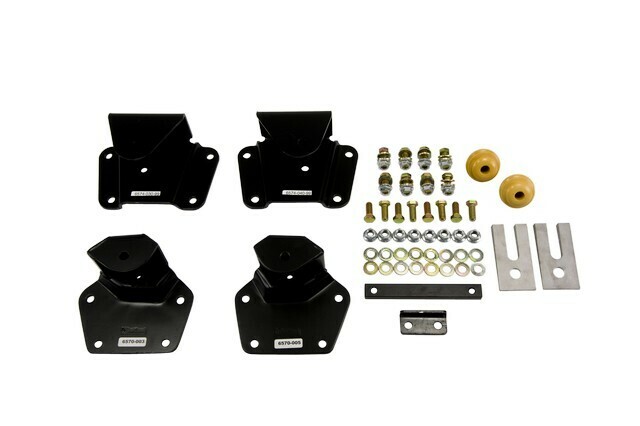 Belltech Shackle Kits are designed drop the rear of your Sport Truck or SUV up to 2 inches. For some applications we also offer a ½” lifting Shackle Kits. Belltech Shackle Kits are constructed from heavy gauge die stamped P&O steel to insure a perfect fit and superior quality. All shackles are powder coated and feature OEM quality silent bloc (rubber) bushings & that do not need maintenance unlike polyurethane. Belltech Hanger Kits are designed to lower the rear of your Sport Truck or SUV 2 or 3 inches while maintaining the OEM quality ride. Belltech Hanger Kits are constructed from heavy gauge die stamped P&O steel to insure a perfect fit and superior quality. All kits feature a durable powder coat finish and high quality hardware. Belltech Shackles and Hanger Kits are designed to lower the rear of your leaf spring equipped Sport Truck or SUV by up to 5” depending on the application.